AutoChess: what is "cloudbuster" technology? The general public and faculties REMAIN un-aware of this CHEAP, CLEAN NON CHEMICALweather modification technology. This technology can save the tax payer money,prevent drought, flooding, bush fires, smog and help manage hurricanes world wide. This proven technology has been available since as far back as the 1950's! The emphasis here for western countries is on the statement " SAVING TAX PAYERS MONEY" and "preventing disaster". If this technology was more wider known, it could have saved the last 10 years of deviation in regards to flooding, bush fires, drought and hurricanes.This cheap, clean non chemical process is superior to any cloud seeding or "Geo weather engineering" program in capacity but has been suppressed. This cheap, clean non chemical process is superiour to any cloud seeding or Geo weather engineering program in capacity. Originally this method for weather modification was discovered by Wilhelm Reich in the 1950's. 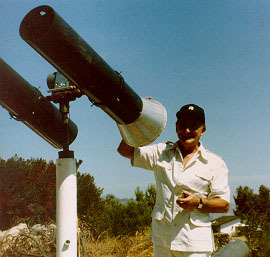 Reich invented what he called "cloudbuster" technology. 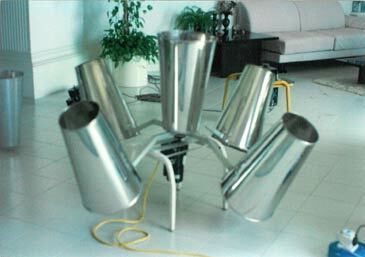 This technology exclusively uses Reich's discovery of Orgone energy to engineer the weather changing effects. 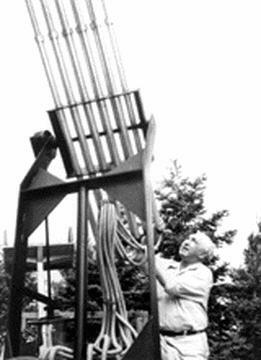 The term "orgone" was originally coined by Wilhelm Reich in the early 1940s to describe a form of universal background "radiation" or "energy" that he had discovered. Over the next 14 years he made many significant discoveries of how it functioned in nature (atmosphere) and the human body. One of these, in 1952, was his invention of a device he called a "cloud buster". 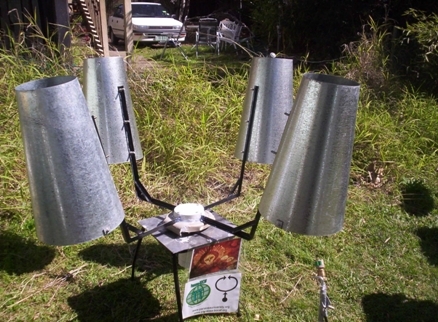 This device intended to drain off stale toxic forms of Orgone (He called Deadly Orgone radiation) "DOR" from the atmosphere and restore normal meteorological behavior to areas afflicted with DOR thats results in droughts and other atmospheric problems. The Orgone Biophysical Research Lab: Orgonomy & Wilhelm Reich founded by James DeMeo, Ph.D has done prolific work in independently validating Reich's Orgone work. 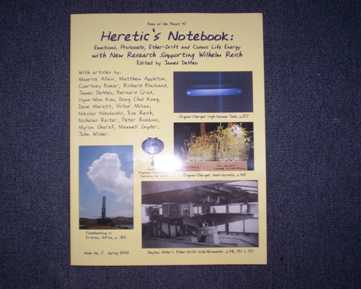 James DeMeo has undertaken experimental reviews and verification studies of the works of the late Dr. Wilhelm Reich, starting in the early 1970s, to include field applications of the techniques and devices for cloudbusting. He undertook the first systematic research investigating the cloudbuster within a mainstream academic institution, the University of Kansas at Lawrence, producing a published university thesis with positive conclusions. 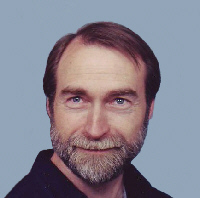 Since that time, he has led cloudbusting expeditions for drought abatement in various parts of the United States, with overseas desert-greening operations in Israel, Namibia and Eritrea, Africa, with numerous published articles on the subject, indicating widespread beneficial rains as an outcome. Despite Reich's experiments discovering the existance of Orgone energy as far back as the 1950's, the existance of this life force energy has being known by previous western academics (Postulated by some as "ether") and indigenous tribes for many years before him.Wilhelm Reich's original work is intended to be included in the faculty section of the proposed granted Panacea research and development center. However records show that today this clean non chemical process which is not intended to controll the weather but restore the climate to its natural state is too cheap and not financialy lucrative enough. Bureaucratics have a monopoly and thier own contracts. Their alternative revenue raising methods (Cloud seeding, fire fighting and much more) are currenlty being used in its place for drought, smog and fire relief. Fire fighting is a financial bonanza, so is smog and drought relief. One only needs to think of the costs involved in a de-clination plant. In the west faculties remain skeptical and do not let any body perform this technology for them, (despite many offers by Panacea and others which are on record for a no obligation FREE demonstration).This continues to go on today despite the available evidence of previous work and rain records being presented to them. There is clear and conscise evidence which validates the process. A pioneer weather engineer Trevor James Constable has been instrumental in proving that the system is currently not set up to accept this kind of cheap and effective technology. Trevor has done a community public service to mankind and saved serious situations as a result of using this technology; all the individuals using this technology have done so without endorsement and have had to incur their own personal costs. Trevor James Constable, originally from New Zealand, worked in the merchant marines for over 31 years as a merchant marine radio officer, he travelled on enormous ships crossing the north eastern pacific ocean over 300 times, this gave him the opportunity to experiment with his research based on Wilhelm Reich's work. 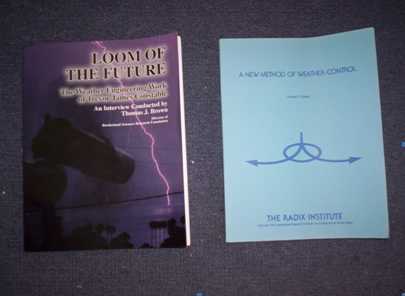 After Trevor retired from the Merchant Marines, Trevor launched the worlds first Airborne Etheric (another name for Orgone) Weather Engineering Operation based in Singapore from the late 1980s to the 2000; Trevor worked with US AirForce retired Colonel W.A. "Willy" Schauer, Chairman & Chief Executive Officer George K. C. Wuu and US AirForce General retired Curtis Emerson Lemay.Trevor has proven rain records, radar and federal filling showing his success. Despite these FACTS the general public remains unaware of their efforts, these individuals have no government endorsement and or faculty support. As a result this clean and cheap weather modification technology has remained neglected, the droughts, fires, smog and hurricanes continue. 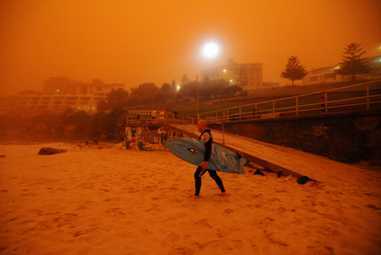 Sydney and Brisbane Australia dust storms. 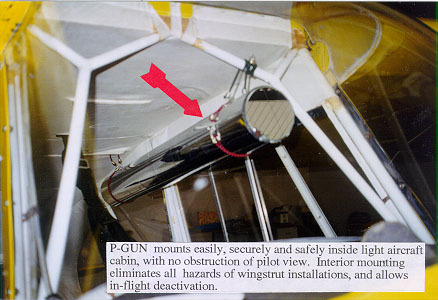 the cloud buster technology can effectively manage winds and clear dust. With this technology in use, this scene could of been prevented. 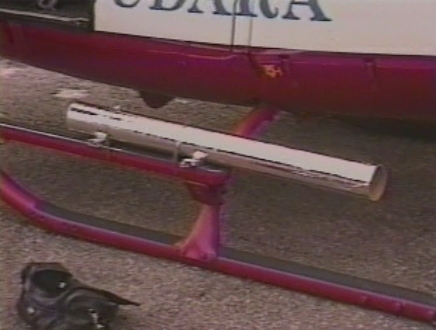 Also this technology could of effectivly dealt with more than 100 fires across NSW. The following video's have been done by Trevor James constable. These are live demonstrations of the technology in action. (Shows the capacity the technology has today and the records of Panacea making government aware with no response!). The following information is required to illustrate certain cases which prove neglect by bureaucrats , governments and faculties regarding the investigation of this technology. And further that we are now needed to police this neglect as it continues to allow unnecessary disaster and costs the tax payer. 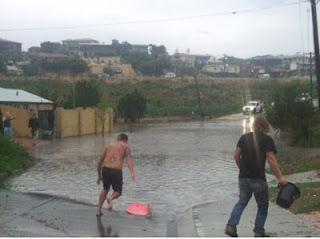 A particular American scientist James DeMeo, Ph.D., has replicated and performed the proven rain making methods based on the original work of Wilhelm Reich. Over the last decade, James was repeatedly contacting various persons and officials in Australia, trying to organize a project in NSW Australia and to green up the outback. No replies were forthcoming, unfortunately. Yet the Australian govenrment has stated to James that his technology has not been endorsed by any reputable engineering or scientific faculty, therefore it finds no reason to give it further consideration. 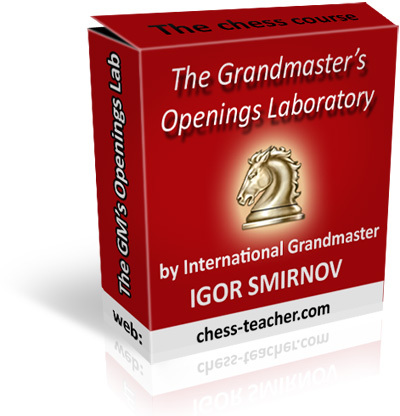 How can any faculty or engineering faculty be aware of it, when its a new discovery to them? As a result of the Australian govenrment not investigating and understanding the situation the drought continues. 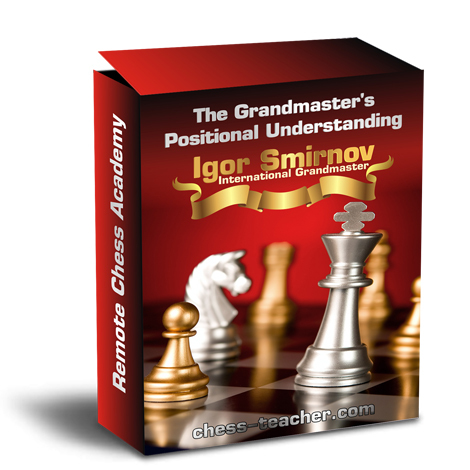 patterned after the work of Wilhelm Reich. 'Dr. 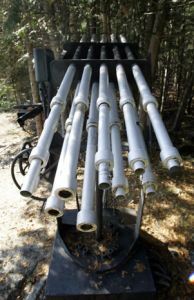 Reich and three assistants set up their 'rain-making' device off the shore of Grand Lake, near the Bangor hydro-electric dam, at 10:30 on Monday morning 6 July. 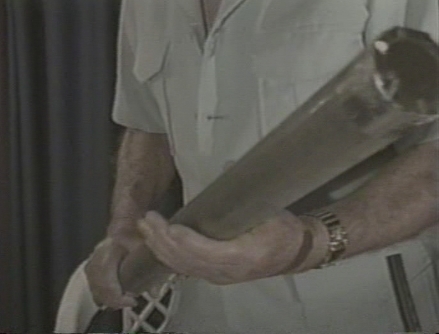 The device, a set of hollow tubes, suspended over a small cylinder, connected by a cable, conducted a 'drawing' operation for about an hour and ten minutes. 'The scientist and a small group of spectators then left the lake to await results. 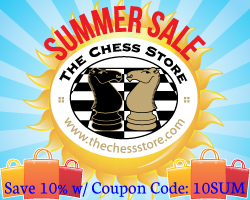 'According to a reliable source in Ellsworth the following climactic changes took place in that city on the night of 6 July and the early morning of 7 July: 'Rain began to fall shortly after ten o'clock Monday evening, first as a drizzle and then by midnight as a gentle, steady rain. Rain continued throughout the night, and a rainfall of 0.24 inches was recorded in Ellsworth following morning.'. 'A puzzled witness to the 'rain-making' process said: "The queerest looking clouds you ever saw began to form soon after they got the thing rolling." And later the same witness said the scientists were able to change the course of the wind by manipulation of the device.'. 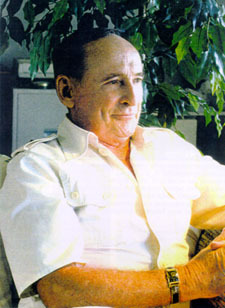 Background on James DeMeo: James was invited to work overseas In 1991-1992, with support from a private foundation and the Israeli government, he and Theirrie Cook went into Israel at the time of a 3-year drought which had reduced all that nation's water reservoirs to historically low levels. Quote-It was incredible. I have newspaper articles showing Jewish and Arab kids having snowball fights, and laughing, having a fun time. Snow also piled up on Mount Hermon and the Golan Heights, which looked like Switzerland instead of the dry Middle East, and snow fell for the first time in memory on the mountains surrounding Eilat in the south. New lakes formed out in the middle of the desert. The Negev was quickly covered with wildflowers, the likes of which nobody had remembered, and tour busses began taking long-time Israeli residents out to see them, because nobody had ever seen such a thing.-End quote. on the banks of the Colorado River during the OROP Arizona 1989 project. James is willing to help Australia/others with participation only so long as it gets approval from official sources, and covers all the expenses either from officialdom or private parties, which are considerable for launching such a project.Reference to James work. 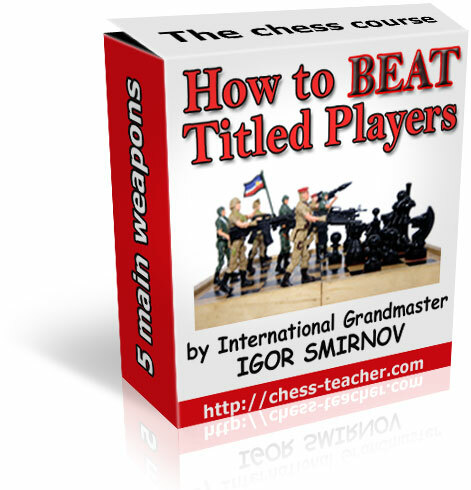 The Russian's are currently using technology which cost 6 Million + to attempt to do the same thing, where cloud buster technology is estimated to be 1/10th of the cost and more effective. Physicists have discovered that firing short laser bursts into the air can trigger the formation of water droplets. The breakthrough technique could help stimulate rainfall in the future.Scientist Jerome Kasparian and his team from the University of Geneva wanted to find a more environmentally friendly alternative to cloud seeding. Dr Kasparian said cloud seeding is not an efficient method despite decades of development.He added: 'There are also worries about how safe adding silver iodide particles into the air is for the environment.- End . It is obvious that given the technical capacity this technology has, those who have vested interested in contracts that treat the drought/fires/smog in other ways, would loose financially from this method as it is too easy and too cheap.Trevor James Constable has already experienced this suppression when trying to apply this technology.Detailed accounts have been published in the book "Loom of the future" available from Borderland Sciences. 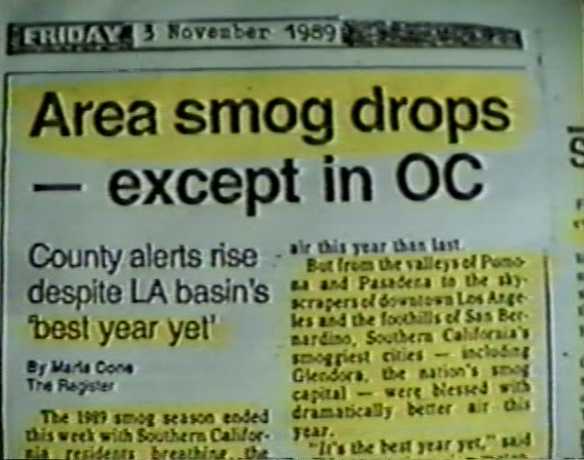 Trevor's records tell of the smog bureaucracy, crooked politicians, neurotic lawyers and greedy businessmen to whom "fighting" smog is financially or organizationally beneficial. 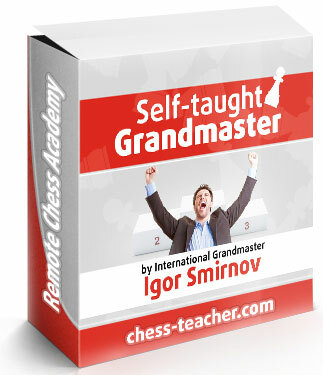 Furhter academics are not willing to observe a new discovery to them, simply because it is not yet in thier tet books. The tax payer and education system is not only suffering, but public health. One of the most important aspects of the applications of this technology is in its ability to prove scientifically of the existence of a stale form of toxic energy originally discovered by Wilhelm Reich called "Deadily Orgone radiation" or "DOR". This DOR effect has been identified and proven by Reich to be responsible for drought conditions. This DOR is understood to be related to technology we use today.The phenomenon of "electrosmog" - the affection of living processes by example electrical equipment, high-voltage wires and radio transmitters - is a phenomenon which Wilhelm Reich described at the beginning of the fifties of the last century. He recognized the negative effects by the irritation of the life energy in the atmosphere and in organisms (DOR). The DOR phenomena also came by the ORANUR effect (ORgone Against NUclear Radiation). Reich brought a small amount of radium into a very strong orgone energy field. (The same effect arises, however, when strong doses of aggressive energy can influence a normal concentration of atmospheric orgone energy). As a result, there were two stages. The first was the irritation of orgone energy. In the second stage of the irritated energy stagnated and became DOR. Reich compared the orgone energy under the influence of the oranur effect with a wild animal, which was captured. First, it rages angrily around in his cage until it finally gives up and resignes. Ultimately, it dies. The relation of drought (DOR) from nuclear weapons is an important one. More detail on this subject is covered in Panacea's online university document course entitled " cloud busting". Or Visit the Wilhelm Reich museum. 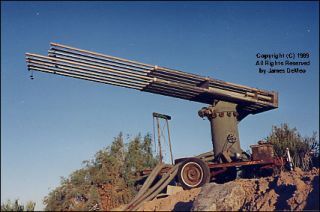 The main thrust of cloudbusting technology was orignally used by Reich for "DOR"-removal not to "make it rain" unaturally. Without the focus on using this technology for DOR removal, the results are only temporary at best. The first step in solving any problem is to recognize that there IS a problem. All engineers who pursue the same weather modification processes are based on the original work of Wilhelm Reich's "cloudbuster". All of them like James DeMeo lack funding, faculty/public awareness and government support to upscale. George K. C. Wuu, and Trevor James Constable are both founders of ETHERIC RAIN ENGINEERING . Their work like James DeMeo's is based on the proven atomospheric regulation methods of Reich and can STOP droughts, help contain bush fires, Smog and control hurricanesTODAY. This technology is the cheapest for the tax payer to impliment. What you are looking at above is the pinnacle of weather engineering technology today, this waterless design and geometric approach gives the technology an achievement of boundless potential and is perhaps the highlight of the Trevor James Constables weather engineering career. Before Trevor's achievements Orgone or Etheric weather engineering needed a water (ground) source to function. The following photo's show more of Trevor's Advanced Airbourne geometrical designs which are the ultimate drought, smog, hurricane and fire fighting relief technology. A milestone in innovation and brilliance. A Small but powerful and advanced design. Yet despite weather engineers having written many letters to the Australian government and others - They have failed to gain any active responses. DeMeo has also petitioned the Australian government to no avail. - Referance. Trevor has had proof of this CLEAN non chemical weather modification process for over 20 years. 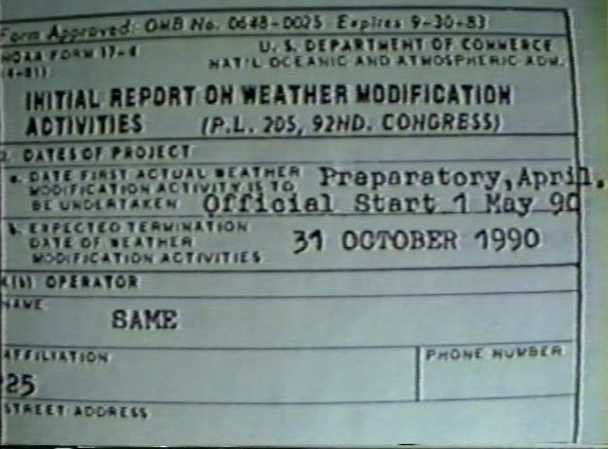 DOCUMENTATION- U.S. Federal laws provide that such weather modification operations be reported IN ADVANCE to the National Oceanographic and Atmospheric Administration of the U.S. Government. By appending an engineering drawing to our Federal filing for Pincer II, we would show clearly how it was intended to bring rain into statistically rainless Los Angeles in July. U.S. Government radar fax maps would provide third-party confirmation and irrefutable objective evidence of where rain formations developed, and how they moved and thus brought rain into Los Angeles – were the project successful. In Southern California back in 1987 around 200 scientists from overseas countries were brought in by the California air resources board. All were organized into some 50 teams. These teams were strategically sited throughout California for the most ambitious smog study project in history. Trevor's operation "victor" started at the same time and by the end of the third week in July the air in southern California was so clean that it deprived the visiting scientist of the statistical opportunity to gather valid samples- As a result they were sent home without data. The weather modification operation "Victor" was done without malefic intent, Trevor has stated on record that it was unintentional and done without malefic intent. His project with a 5 thousand dollar budget had put out of action the state air resources board project which finished up costing the California tax payer more than ten million dollars. Quoted as the best year they have ever seen. 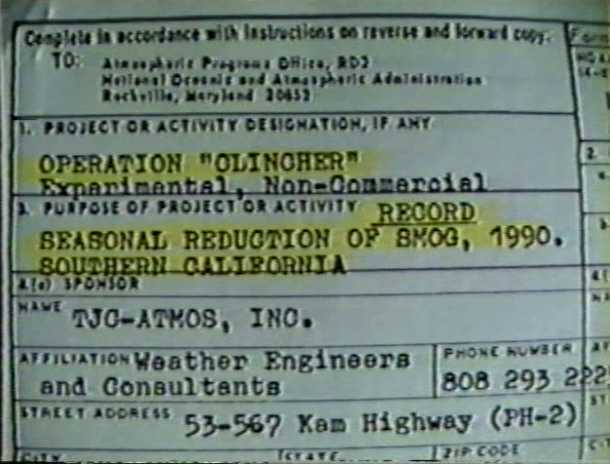 There have been others here is the official federal filing of an operation Tervor called operation Clincher.This makes THREE co relations of Trevors's activities using this weather modification process. Plus shows the states BEST EVER smog results. A complete list of successful operations by Etheric rain engineering. 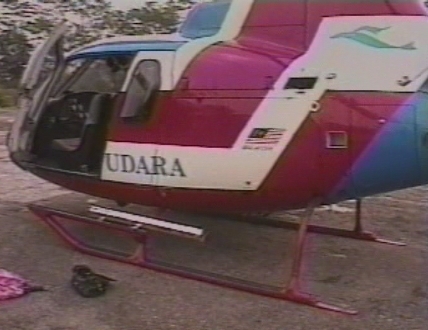 All records including records, facts and figures of the operations mentioned can be obtained on video by us. 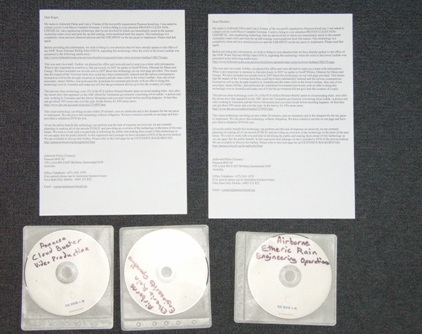 Panacea has a copy of the DVD entitled "primary weather engineering By Trevor James constable". The non profit organization can make it available to any faculty, grant group or government who wishes to see more hard data. Please contact us for this info. 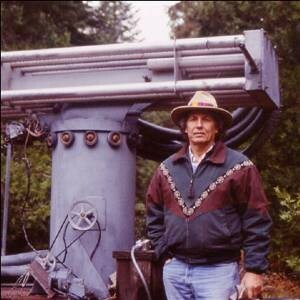 In 1990, Free Energy Researcher Dr. Peter Lindemann teamed up with Trevor Constable to break the drought in Santa Barbara, California using Trevor's rain engineering technology. It took Peter about three months of study and experiments to understand what the equipment was actually doing. 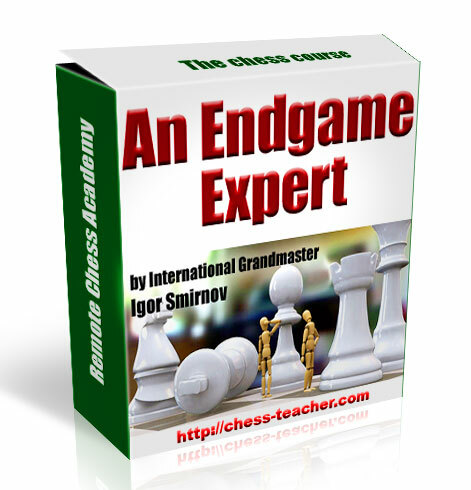 At that point, orienting the equipment for maximum effect became easy. In a series of engineered rains between February 2nd and March 6th, 1991, the Santa Barbara drought was effectively broken, including a spectacular event that filled Gibraltar Reservoir from bone dry to over-flowing in one night. 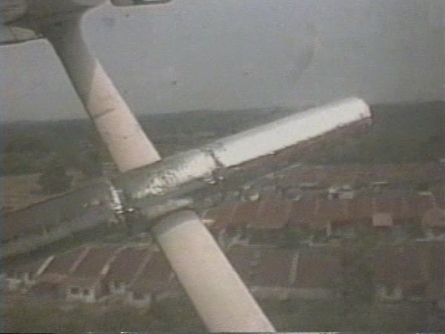 Later that summer, Trevor asked Peter to join him in Operation Pioneer to break a drought in Melaka, Malaysia. There, they engineered 57 measurable rains in 10 weeks of the dry season. Some of his contributions to Trevor Constable's Etheric Weather Engineering technology are documented on the website. The next individual Chen I-wan contacted Panacea and reported to us that he conducted an interview published on Feb. 12, 2009 by the Northern Weekend entitled: China Disaster Prevention Expert Introduces the "Rain Engineering" New Technology. In the draft he submitted to Northern Weekend, the name of both Mr.Trevor J Constable and Mr. George K. C. Wuu was stated, as well as their website. But the editors decided to keep such names out of the final paper. Extract of the interview. 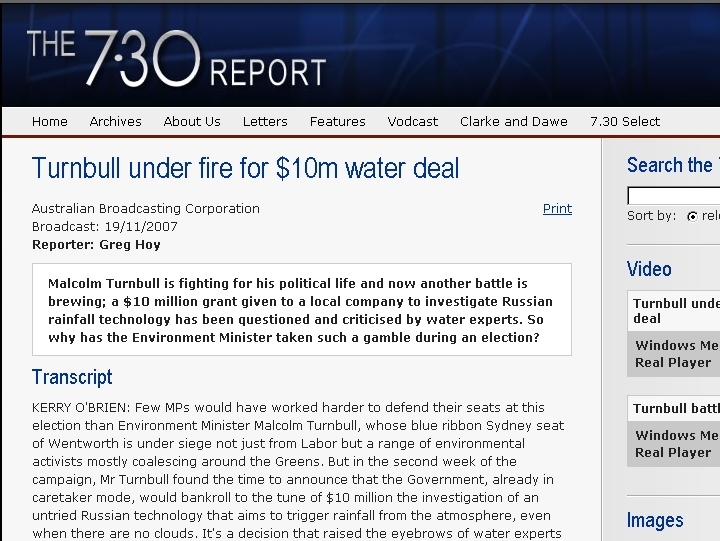 Also at one time the Australian Federal Environment Minister Malcolm Turnbull discovered weather modification technology. This is a hypocrisy as this technology has already been PROVEN to work since the 50's. 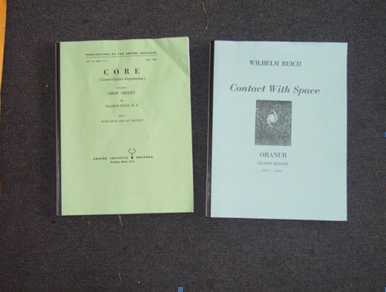 Wilhelm Reich has documented records which show proof of his operations somnce the 50's. (as do modern researchers). In the above journals, Wilhelm Reich has included proven records of his sucessful weather engineering in Appendix A. Modern researchers with successful weather engineering records have also been researched by Panacea. Weather engineering records by Tervor Constable "Loom of the future"
and By Dr. Charles Kelley " A new method of weather control. Above are documented weather engineering records by Trevor James Constable shown in the book "Loom of the future". Also another independent record and study by The RADIX Institute's Dr. Charles Kelley in his book entitled " A new method of weather engineering. 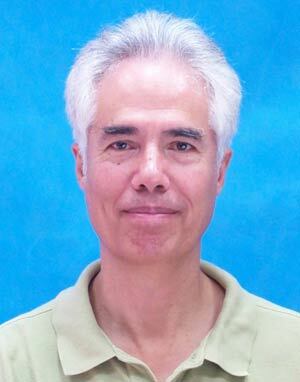 Also modern researcher James Demeo has detailed records of his operations and many others published on his web site. Reference. James Demeo’s cloud busting operations which broke a drought. 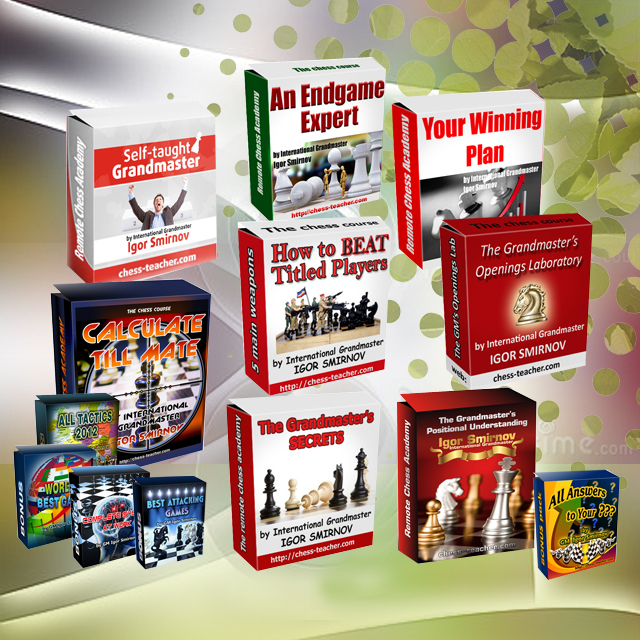 Panacea can produce these records for any government and faculties upon request. Panacea has already made the Australian Minister go on record to acknowledge the already proven cloud busting technology. In 2007 Panacea contacted the Australian Queensland government's Minister for Mines and Energy. Panacea had attempted to arrange an appointment to present the alternative energy technology and cloud buster technology which can solve the drought problem in Australia and abroad. Here is the letter (down load) that Panacea sent to the Minister in order to go on record and acknowledge that he had received. Records show that the above letter has been received by the Ministers office.The following is a quote from the email returned to Ashtweth Palise, a Trustee of the non profit organization. Your email of 18 June 2007 to the Brisbane Central electorate office of the Hon Peter Beattie MP, Premier regarding alternative energy and a drought solution has been forwarded to the Hon Geoff Wilson, Minister for Mines and Energy.Your email was forwarded to the Sustainable Energy section of the Department of Mines and Energy and they have advised you may wish to contact Ms Andrea Harvey on 07 3234 2710 so that they can get a better understanding of the technologies and requirements and where they may be able to direct you to the most appropriate area. The non profit organization has heard nothing back from the Minister's office since sending the letter in 2007. Further this information was sent before the time where the Australian Queensland premier Peter Beattie gave the go ahead for $7.6 million of tax payers money to trial cloud seeding in Queensland Australia. Cloud Buster technology is not only cleaner and MORE EFFECTIVE, BUT IS ESTIMATED TO COST A 10TH OF THAT FIGURE, IT IS THE CHEPAEST FOR THE TAX PATYER TO IMPLIMENT. Probably about one 10th of that wasted tax payers money could of been used to prevent disaster using cloud buster technology. There are still drought problems in Queensland and elsewhere in Australia as of 2010. 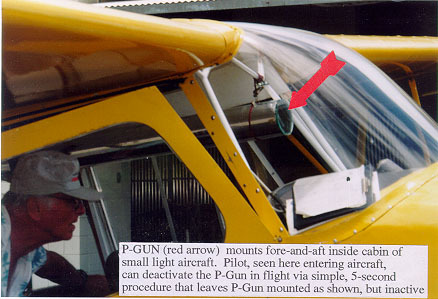 The Australian Tasmanian Government has been funding cloud seeding a lot longer. It's quite controversial since silver iodide is a poison and it is only working in Tasmania and the Snowy Mountains and you need clouds before anything happens. At best they can get about 30% more rain over the year. In the Snowy it's 30% more snow. Besides not being needed, cloud seeding is far from perfected. China's Weather Manipulation Brings Crippling Snowstorm to Beijing. When a huge blizzard brought record snows this month to Beijing and other cities, Chinese officials acknowledged that cloud seeding contributed. The state-run Xinhua news agency said the Beijing Weather Modification Office claimed it had created 16 million metric tons of additional snow in the storm, which angered people caught in it. There is no need for toxic under performing expensive technology. But, who is telling the public about this? If you read the whole article covering the Tasmanian cloud seeding program, the Tasmanian Government has been funding cloud seeding a lot longer than Queensland has. Professor Roger Stone is head of the 7.6 million dollar cloud seeding program in Queensland and admits cloud seeding is not the answer. "Professor Stone said cloud seeding on its own would not solve South East Queensland’s water crisis. "However, it would be part of an overall package of initiatives including recycling, more efficient water use, desalination and new storage facilities," he said".. It must be reasoned that it is therefore NOT OK to spend over $7 million on testing. They are currently intent on using re-cycling and desalination technology with its huge capital costs. This clean and cheaper weather engineering technology would negate the need for these contracts and save the tax payer the most money. Panacea has sent information packs covering the cleanest and cheapest non chemical weather modification technology in the world to the Australian government and offered a FREE no obligation demonstration. the Minister for Water and Professor Roger Stone. 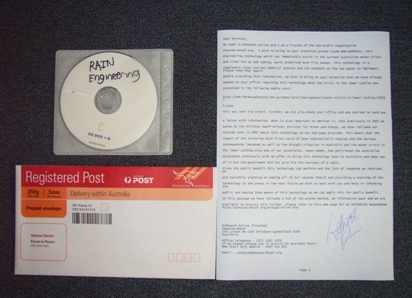 Additional Letters were also sent specificaly to the Tasmanian Government who is running the cloud seeding program and to Professor Roger Stone who is head of the 7.6 million dollar cloud seeding program in Queensland Australia. 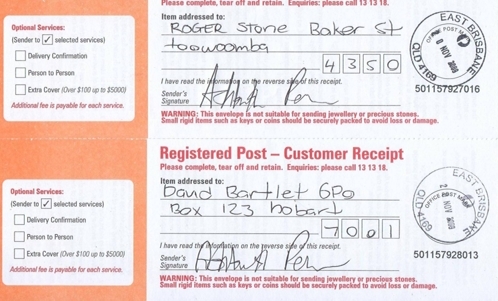 Here are the registered mail receipts - Note the dates below them. Panacea has even spoke to the Australian Minsters office for Water about addresing the Lachlen dam storage which is down to 4%. Just a puddle in a huge hole where the dam water used to be. Premier announces water help for farmers - The New South Wales government has announced a $2.3 million measure to help irrigators in the Lachlan Valley-Lachlen dam storage. Panacea could do the same job cleaner for around one third of that figure. That is another 2.3 million dollars of tax payers money gone like the 7.6 million in cloud seeding grants in Queensland, should this technology not be used in its place. So far in 2010 we have heard no response. Can you Help? 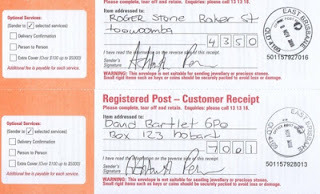 What is more alarming is the fact that Ashtweth Palise a trustee for Panacea spoke to: Hannah Baldry, A/Executive Assistant to the Commissioner NSW Office of Water Level 17, 227 Elizabeth St | GPO Box 3889 Sydney NSW 2001 T: 02 8281 7357 F: 02 8281 7757 E: hannah.baldry@dwe.nsw.gov.au W: www.water.nsw.gov.au regarding the letters we sent out with no repsonse in December of 2009. We were surprised to learn from Hannah the Executive Assistant to the Commissioner that the Minster for Water Phillip Costa has put American scientist James Demeo on a "blacklist" with a note saying "This technology has never been validated in any way scientifically by the The Commonwealth Scientific and Industrial Research Organisation (CSIRO). How can the CSIRO endorse it when it remains a new discovery to them?. This is despite the fact that James Demeo PHD is a former academic scientist whose experiments validated the work of Wilhelm Reich in a professional capacity (others had before him, but James was the first in a mainstream university to do so) . James is not the original inventor who needs outside tests and validation. Also Jame's research shows records of sucessful operations in at least 2 countries. Before reviewing the matter with some seriousness the Minister's office does not seem to be interested and or aware of the facts. Hence they appear to be festering with unjustified ignorance and bias and the tax payer is paying through the nose for under performing cloud seeding technology and suffering drought. The letter Panacea received back from the Minister's office did not even give advice on how to proceed to help get it validated by the CSIRO and help them process it. 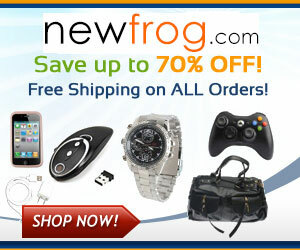 Plus we offered a FREE no obligation demonstration, we are a non profit orgnaization. You would think that the response would be along the lines of this technology is important. And in order to help us process it for further validation we advise that you proceed etc. But not even that response was forthcoming. What is even more alarming is the fact that Panacea sent a further E-mail to Phillip Costa the Minister for water which presented the proof of Trevor James constable's weather engineering work. (This was already contained in the information pack sent to them previously).We also made a point to the Ministers office that Trevor's technology is far more advanced and different than James Demeo's and Trevor like Jame's has offical records showing success. Email records can be provided to show the following proof (which is more than enough to provide premise for a no obligation demonstration from us) was expressed to the Minister. 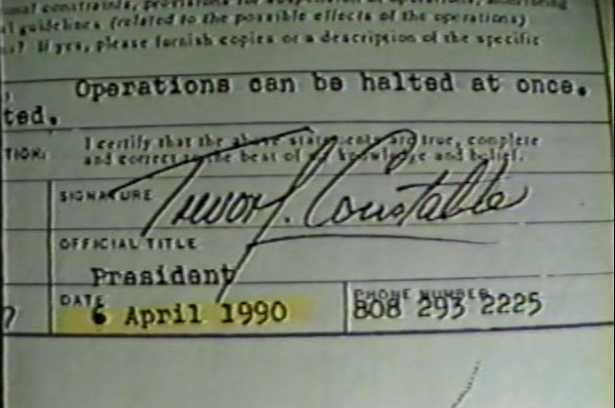 This proof contained Trevor James Constable's official records of successful weather engineering operations. DOCUMENTATION -U.S. Federal laws provide that such weather modification operations be reported IN ADVANCE to the National Oceanographic and Atmospheric Administration of the U.S. Government. By appending an engineering drawing to our Federal filing for Pincer II, we would show clearly how it was intended to bring rain into statistically rainless Los Angeles in July. U.S. Government radar fax maps would provide third-party confirmation and irrefutable objective evidence of where rain formations developed, and how they moved and thus brought rain into Los Angeles – were the project successful. From this lack of response we must realize that it is not just the Australian government but the system which has failed to bring this technology and keep it secure in public hands. The discovery is new to governments and faculties (but has been around since the 50's! ), it is not in their text books and they are unwilling to investigate further even under a no obligation situation. We must create security from faculty ignorance or ignorance from any individual who is not qualified to make the decision yet has the authority to prevent further investigation. We have to ensure the prevention of any suppression of this clean and cheap technology from any bureaucrat because it threatens his contracts which are more financially lucrative. Panacea has heard nothing back from the government since november 2009. We have offered our proposed granted non profit research and development center to hold the technology in a public trust and to operate it on a grant basis (not selling it out to an entrepreneur). Panacea can also train faculties can you help? contact Panacea. Cloud Buster technology can also eradicate the new threatening water economy. Flow (2008)- Irena Salina's award-winning documentary investigation into what experts label the most important political and environmental issue of the 21st Century - The World Water Crisis. Salina builds a case against the growing privatization of the world's dwindling fresh water supply with an unflinching focus on politics, pollution, human rights, and the emergence of a domineering world water cartel. International award-winning documentary narrated by Malcolm McDowell, based on the book Blue Gold, hailed the 'Real Quantum of Solace'. Global Warming is an issue of 'how' we live, the water crisis is an issue of 'if' we live. See www.bluegold-worldwaterwars.com for details. The Story of Bottled Water (2010) will alarm you and is certainly a problem that only this technology can address in as much capacity. The above references have proven that individuals who have proven weather modification records like , James DeMeo and Trevor Constable have made representations to government and have got no where. 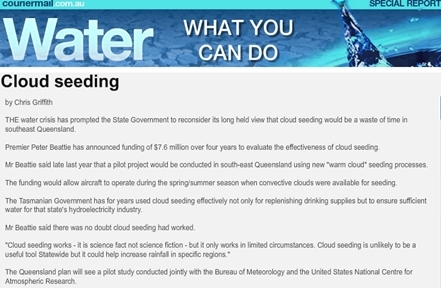 James DeMeo only needed $10,000 to set up his weather modification process which is significantly cheaper (and cleaner) than the $7 million the current Australian Queensland government intends to spend on cloud seeding trials. This weather engineering method makes it impossible to regulate or charge for water. The government have already legislated to stop farmers catching run-off water on their properties. It is now illegal for a farmer to build a catchment dam. Does the government want the water to run into creeks and rivers so they can retain ownership?. Here is another example of politicians ignoring technology that can save serious situations. It is hard to forget the recent TV images showing faces of despair as people watched their homes burn to the ground as the Santa Anna winds fanned huge fires through the tinder dry brush around San Diego. Big Arnie is in front of all the cameras saying he won't let the people down like they did in New Orleans after Katrina. I felt like throwing a brick through the TV screen. I've got news for you Arnie. You just let all those people down. By ignoring all the work that was done over 30 years ago by Wilhelm Reich, and Trevor Constable and James DeMeo, you have deprived these people of the technology they needed to save their homes and possessions. Those fires and the Santa Anna winds that fanned them, could have been stopped in their tracks but bureaucratic bungling and ignorance and some corruption in there as well let these people down. Read this and be concerned. Cloud busting technology could of also helped contain the recent 2009 Austalian bush fires in victoria. 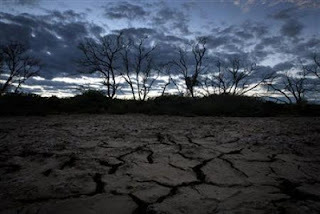 It has been reported to us that the Australian CSIRO spent 20 years and $100,000 in the 60s and 70s trying to find out if cloud seeding worked or not. They quit because they could not prove it either way. The American bureau of reclamation spent about the same amount of time and money seeding clouds all over the West before Congress refused to fund any more because of lack of evidence that it was doing anything. Also we have had reports of the Russian process which has nothing to do with cloud busting. This is understood to be based on an experiment done in 1960 by Bernard Vonegut in which he strung a wire over a canyon and electrified it, giving off "ions" that served as "condensation nuclei" around which water vapor in the air could condense into raindrops. A thin line of cloud, about two inches thick, formed across the canyon around the wire. 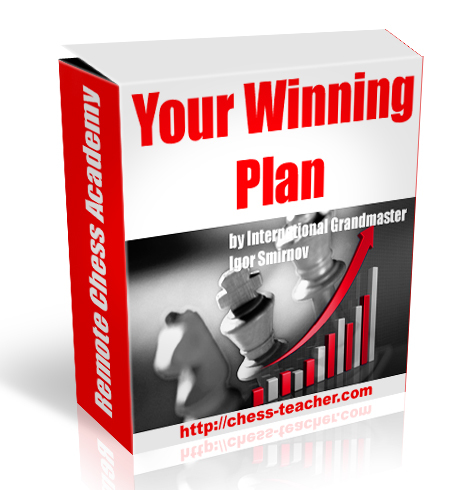 The Russian process is based on the same principal. They release ions from a network of wires into the air, expecting water vapor in the air to condense around the ions. It works-at short range. 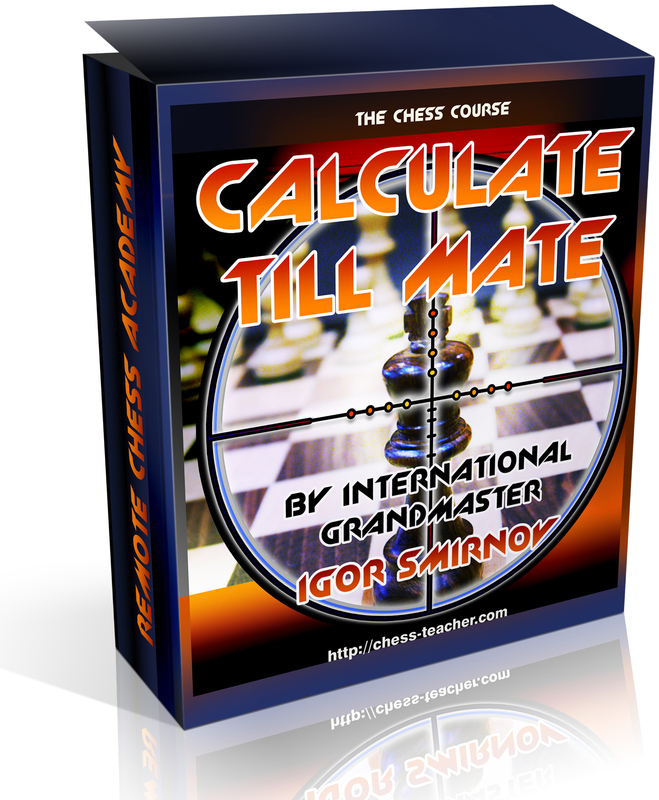 It is very impressive to a laymen. But the inverse square law applies. The effect is limited to a very short distance from the wire that is the source of the ions. There are also many other individuals who have followed Reich's work and validated it. They could ALL be endorsed in a coordinated effort to educate and perform a safe demonstration to help relieve drought areas. These individuals include Christoph keller ( Christoph keller cloud buster project) and many others. Charitable foundations like one difference.org who have a mission to help drought areas. One water was launched at Live8 in the UK and donates all its profits to essential water projects around the world. So far the money we have raised has bought drinking water to thousands of people in need. And now every Australian can help-End. They can drastically make their financial resources count 100 times more effectively to help water shortages by ENDORSING this technology. Think of how many aid agencies in the world help others with water problems like in Africa for example. Trevor constable has shown that this technology in some cases can make it rain in 20 minutes, yet this technology is not endorsed, known or financed. Panacea has completed a non profit educational video production to support The Reich Museum, Trevor James Constable, Wilhelm Reich and James Demeo. There have been a vast amount of obstacles that have stopped this particular CLEAN and cheap weather engineering technology from complete public access. As a result of the government and universities neglecting to adopt this technology, serious situations and weather control have been not been managed to capacity. There have been a vast amount of obstacles that have stooped this technology from complete public access. All of the individuals involved in operating this particular non conventional weather engineering practice have faltered trying to get this knowledge known publicly. There is a uniform repeatable pattern of rejection. This rejection is based on a pre-determined mind set which still today prevents their progress. This suppression of their progress has profound implications for the stability of this planet.It is the intent of this educational video to illustrate by their experiences how the current system has not worked and offer Panacea's solution and gain your support for this solution. With your help we can mobilize the needed support to continue the use of this technology out of a public trust and honor Willhelm Reich, Trevor Constable and the many gentleman who have helped over the years. Given the reports by the weather modification engineers this technology is an invaluable life saving technology which the mainstream faculties must benefit from. As a safety device alone, this technology justifies (and needs) endorsement and law for its mandatory implementation. If you can help support this technology please contact Panacea. James Demeo, Etheric rain engineering and others contributions need a grant backed research and development environment to flourish and will be submitted into faculty study in the proposed granted Panacea research and development center. We can coste effectively end the drought present in Australia and other countries TODAY! Due to previous researchers using Orgone weather engineering not being successful in convincing the government and faculties to endorse and help them stop the drought. Panacea has completed the following educational course on cloud busting to help validate the science for government and faculties. Panacea can perform and demonstrate this PROVEN process to government and for any government or faculties to learn. 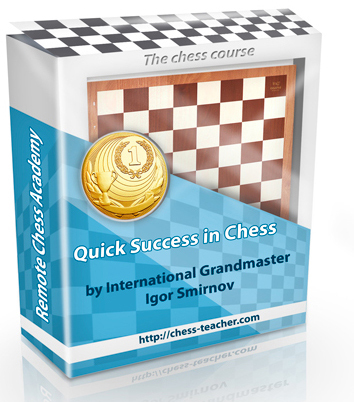 This course is located on the Panacea University site. Entitled:Cloud Busting (PDF) - An Educational method for atmospheric self-regulation using the original teachings of Wilhelm Reich Orgone energy discovery. This method is a clean non chemical way to treat drought affected areas, clear smog , manage bush fires and hurricanes. This document is being made available as a research report only and does not teach how to perform the work. We have not made the cloud buster construction document available to the general public for various reasons which should be obvious to the reader. The government and faculties now have no excuse not to endorse and validate the technology. Panacea can provide a FREE no oblidagtion demonstration - contact Panacea. Panacea also intends to create a TRUST FUND to operate this technology to help support the farmers, bush fire victims and to help raise money for James and Etheric rain engineering. If you're a member of the public or a scientific group which can aid in grants for the Panacea research center or help sponsor Etheric rain engineering, James DeMeo and others to stop droughts please contact Panacea. The following links have been compiled by Robert Jones to show the scale of the drought(s). Marginal Revolution: Will the Middle East run out of water? Freycinet Peninsula runs out of water. "Others [terrorists] are engaging even in an eco-type of terrorism whereby they can alter the climate, set off earthquakes, volcanoes remotely through the use of electromagnetic waves... So there are plenty of ingenious minds out there that are at work finding ways in which they can wreak terror upon other nations...It's real, and that's the reason why we have to intensify our [counterterrorism] efforts. "Secretary of Defense William Cohen at an April 1997 counterterrorism conference sponsored by former Senator Sam Nunn. Quoted from DoD News Briefing, Secretary of Defense William S. Cohen, Q&A at the Conference on Terrorism, Weapons of Mass Destruction, and U.S. Strategy, University of Georgia, Athens, Apr. 28, 1997. An interesting documentary which examines the history of weather modification and its use by the military. 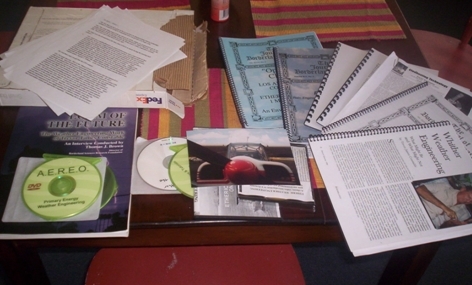 Among the topics covered are: cloud seeding, HAARP and declassified experiments.